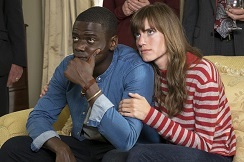 A horror movie that works on multiple levels, Get Out is the feature film debut from American comedian Jordan Peele (formerly of the Key & Peele partnership) and couldn't possibly hit on a more timely seam of satire or scares. When young black photographer Chris (Daniel Kaluuya) goes to visit his white girlfriend's family estate, he's apprehensive about the reception he'll receive - but he soon uncovers something far more terrifying than he ever imagined. Drawing its scares not from anything supernatural but from a lacerating, unsettling observation of human nature (in particular, outwardly sophisticated 'gliberal' America), Get Out ambitiously puts the turbulent racial history of contemporary USA under the microscope and has the storytelling skill to back up its grand ideas. Veering between sly social comedy, keen political insight and genuinely alarming terror, it's one of the most bracingly intelligent, funny and entertaining chillers in years and benefits hugely from the varied, dynamic score by African-American composer Michael Abels. A veteran whose career spans several decades, Abels' musical highlights are too numerous to mention. Of note is his celebrated classical piece 'Global Warming', composed in 1989 around the time of the Berlin Wall's collapse, and the bluegrass/beatbox mash-up of 'Dance for Martin's Dream', centred around Martin Luther King. The diverse array of influences throughout Abels' career spans the classical, pop and hip-hop worlds, interspersed with which is a Baptist musical education. Abels has also won plaudits for mentoring disadvantaged young people and helping them to achieve their musical dream. It's therefore hard to imagine a composer better-suited to scoring Get Out, given Abels' own personal background, knowledge and dramatic instinct. 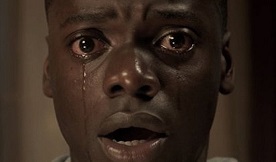 As one might expect the Get Out score is bracingly diverse and multifaceted, beginning with the eerie Swahili vocals and blues undercurrent of the 'Sikiliza Kwa Wahenga (Main Title)' that, according to the composer, are intended to act as ghostly echoes of dead slaves sending out a warning to main character, Chris. The theme is interwoven throughout the score in fragmentary fashion, along with the tender, cello-led 'Love Theme' for Chris and Rose and the Bernard Herrmann-esque creeping dread of what may be described as the 'family' theme, first emerging in 'The House', indicating the web of terror in which Chris soon finds himself ensnared. Other tension-laden pieces of note include 'Meet the Help', hinting at the terror surrounding the estate's unnervingly robotic house servant Georgina; the masterful 'The Auction' with its tentative harp and plucked percussion that steadily builds ominous ramifications through the string section; the choppy, purposeful strings of 'Rod Calls Rose'; and the glacial, undulating 'Rod Calls Rose' with its piercing vibraphone undercurrent. The finale 'Situation Managed' resolves the piece on low, toiling strings, calming the heartrate but never allowing the nerves to settle, given the themes of the story that are far too complex to resolve in a hurry. The love theme's application is perhaps more sparse, turned inside out in the brooding 'Mental Prep' as the bass section deprives the theme of its warmth, whereas the climactic 'Rose Returns' is by turns wrenchingly sad and, ultimately, spine-tingling. It then makes one final appearance at the end of the 'End Titles', a satisfying way to round things off whilst reminding us first and foremost that this is a character-based horror movie and score. Interestingly enough a fair portion of the score is in fact credited to composer and orchestrator Timothy Williams, whose job it was to adapt certain thematic pieces whilst also adapting the needs of the entire score to the specifications of a full symphony orchestra. 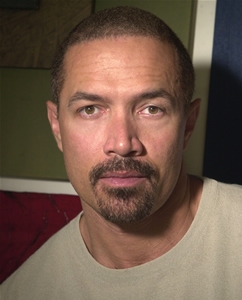 It's intriguing to note that Williams was in fact the conductor on recent Oscar-buzzed hit Hidden Figures, another racially-driven movie, albeit a drama not a horror; one imagines the sensitivity and nuance of the former was also brought to this project, although Williams in fact gets the bulk of the explosive suspense and action music. Of special note are the tolling, funereal bells of 'Ukelele Walk'; the claustrophobic dread of the family theme in 'Photographs' (harsh brasses, choir and rattles accentuating the fear); the chilling, chaotic vocal work of 'The Sunken Place'; and the shrieking, dissonant terror of 'Race for the Teacup' and 'Jeremy Attacks', both of which highlight the thunderous influence of Christoher Young. One of the criticisms that could be labelled at the score is that it's perhaps too much of a good thing - quite literally - as the album is divided into many short tracks which perhaps could have been done with editing together for a smoother listening experience. Regardless of this minor nitpick, there's no denying that Get Out is one of the most varied, unusual and inventive horror soundtracks of recent years, drawing on a host of musical styles and tones and fusing them all together superbly. This is a complex, demanding film and demanded an equally complex score, one that's both in on the satire and capable of scaring the listener senseless. There's no denying that Michael Abels (and Timothy Williams) achieves both aims, putting the ghost of tedious 'stinger' horror scores in the grave and showing more established film composers how it's done. We seriously need to hear more from these guys. 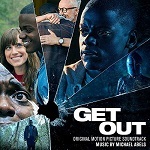 The score album for "Get Out" can be found at the following links on: Amazon.co.uk and Amazon.com.